In the history of television there is no more despicable man than Seinfeld’s George Costanza. George is lazy, compulsive, manipulative, a skinflint, and a poor latex salesman. What’s interesting about George isn’t merely that he’s a bad person, it’s that he might be America’s most beloved bad person. No matter how terribly George behaved over 9 seasons on America’s greatest sitcom, the television audience never stopped rooting for him. 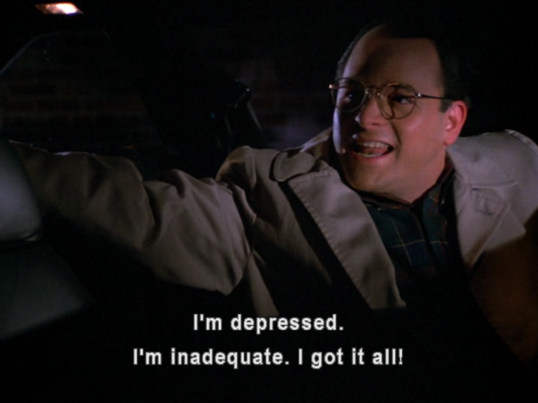 George Costanza, while dishonest, was quite possibly the finest depiction of the banal and neurotic nature of human depravity ever presented in western culture. His sad-sack suffering was always the result of his inability to be considerate of any desire other than his own. This impulsiveness was consistently the source of his own undoing. Which makes him a lot like you and me. George’s behavior revealed his nature, and his nature influenced his behavior, in a downward spiral that was as entertaining as it was revelatory of the human condition. I’d suggest to you that we don’t hate George because we identify with him. We tend to root for unsuccessful people who are flawed in the same way that we are. This is probably because it helps us feel better about our own lack of success. We also tend to vilify both the successful and those whom we find to be inferior to us. In short, we hope to elevate our position by squashing the field. without having to knock him down to look better to others. 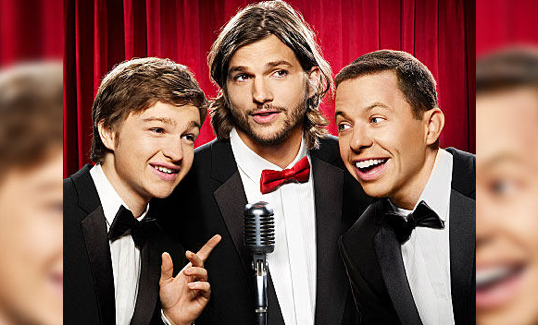 This week we learned that 19 year-old actor Angus T. Jones believes that Television in general, and the show “Two and a Half Men” in specific, promotes the work of the Devil. This wouldn’t normally be a shocking statement, especially if you’ve seen an episode or two, except for the fact that Angus T. Jones is currently starring on “Two and a Half Men”. This is where you are expecting a piece of information to be revealed that will make these pieces of opposing information fit together and make sense. That’s probably not going to happen anytime soon. I thoroughly enjoy watching The Big Bang Theory on CBS. It’s a television program about a group of young, male, scientific geniuses who interact with life mostly through their non-genius, female, neighbor. 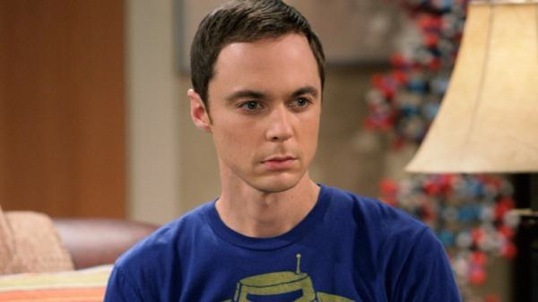 While the actors are good, and the dialogue is clever, what really makes the show exceptional is the performance of actor Jim Parsons in the role of Dr. Sheldon Cooper. Sheldon’s friends are mostly incapable of comfortable human interaction because of sheltered childhoods or overindulged desires for input and analysis. He differs from them in that his anti-social behavior is not brought on by a lack of experience with other people.